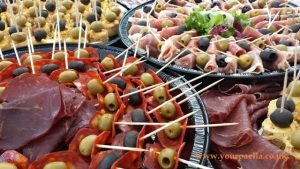 We know just how important it is to hire the correct catering company for a wedding or Birthday party, we also know that Your Paella, the Paella party catering specialists offer an outstanding Paella and Tapas catering service with a difference! Now that 2015 is here many people will start to look for the perfect catering service to provide themselves and their guests with something different, something they won’t forget. 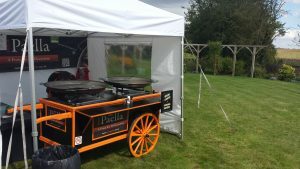 Just reading some of their past clients reviews on the Yell.com website will tell you all you need to know about Your Paella and the Paella catering service they have provided at many weddings and special party’s. Your Paella provide far more than just great tasting Paella’s and Tapas for weddings and party’s. They also provide a unique entertaining experience with their famous “Paella Cart” with the Paella chef’s happy to talk with your guests as they make fresh Paella upon the famous “Paella Cart” It really has theatre and is far more entertaining than just watching a waitress bring out the meat and 2 veg! You may think that such a unique dinning experience would cost a small fortune but you will be pleasantly surprised at the amazing value hiring Your Paella will be. Prices can start from just £8.50 per head based on a minimum of 100 servings! FANTASTIC value for money! 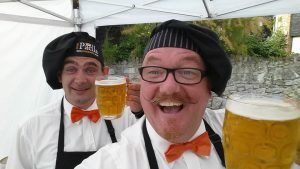 So why take chances when you need to hire an outside caterer? 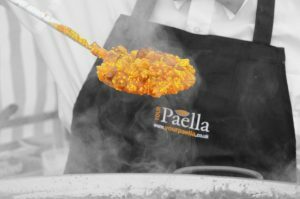 Hire with confidence, give your guests something they won’t forget, give them something truly unique, GIVE THEM YOUR PAELLA! https://www.yourpaella.co.uk/wp-content/uploads/2014/07/20170506_194351.jpg 2988 5312 Gary Evans https://www.yourpaella.co.uk/wp-content/uploads/2019/01/logotrans1-300x106-300x106.png Gary Evans2015-01-05 15:48:112017-06-11 22:19:37Wedding and Party Catering. 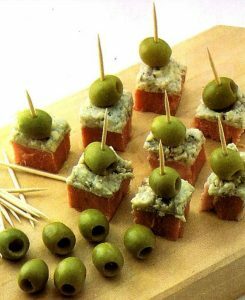 Spanish Tapas for your wedding or party. We have catered Paella for a lot of weddings this year and in many cases the guests have been very spoilt by the bride and groom. The reason the wedding guests have been so spoilt isn’t just the fact that they have enjoyed the fantastic taste of various Paella cooked by Your Paella on site, it’s also that many of the guests had the good fortune to taste the Your Paella Tapas selection! 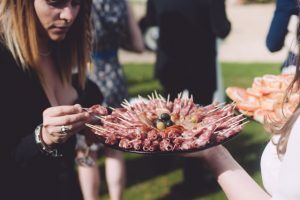 As the wedding guests arrived, they were offered a nice glass of champagne and as they enjoyed the refreshing drink the waiting staff walked among them with trays of delicious bite sized Spanish style Tapas. It was clear that the little Tapas selections went down very well with everyone! 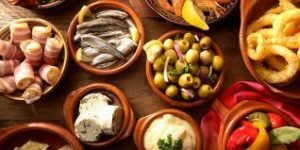 If you are looking for a catering service with a difference, then check out www.yourpaella.co.uk they are more than happy to come along to your wedding or corporate or private party and prepare and cook your guests delicious Spanish Tapas and Paella. 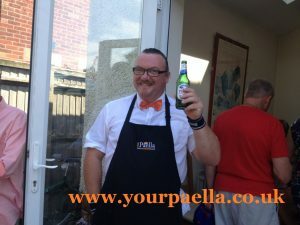 https://www.yourpaella.co.uk/wp-content/uploads/2017/05/Your_Paella_Tapas_selection_06.jpg 360 640 Gary Evans https://www.yourpaella.co.uk/wp-content/uploads/2019/01/logotrans1-300x106-300x106.png Gary Evans2014-08-28 13:04:002017-06-11 22:28:45Spanish Tapas for your wedding or party. So you’re thinking of holding a garden party. Now that’s a great idea! But how can I be so sure that having a garden party is such a good idea? 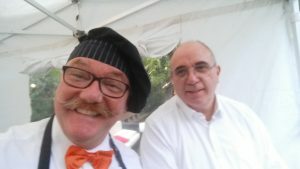 Well simply because I cook delicious Paella at garden parties all over the UK and can tell you with a lot of confidence that if you are going to host a garden party and you get it right its a lot of fun for you and your guests. While talking to the hosts of many of the garden party’s we have catered for, the main reason they say they have booked us is because in the past when they have hosted a garden party at home and have been so busy cooking and giving out the food that they have had very little time in fact to enjoy the company of there friends and family. Even when you have a small garden, it’s not a problem for Your Paella to come along and cook some delicious Paella. This is a fantastic cost affective way to give your guests something a bit special and very different! At this garden party the hosts were happy for us to set up outside in their front garden, it was perfect as we only need a 3 metre x 3 metre area to cook and serve from. As you can see from the image, serving 50 people is no problem for Your Paella. In fact it is a major part of our business. We can cater for any size party or event. The largest event that we were employed to cater for was in central London for 1000 portions! Of course we needed more than just one large Paella pan for that. For the bigger events or private party’s we take our famous Paella Cart. This really gives it the wow factor! Whatever the size garden party or event, one thing will always remain the same. The great taste of Your Paella! Don’t just take our word for it, check out our latest client reviews online here. And you know when you have done a good job because the hosts offer you a nice cold beer when you have finished! CHEERS EVERYONE! 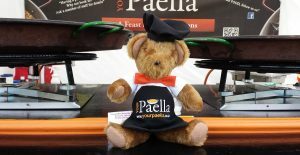 If you would like more information about Your Paella and the services they can provide please go to the main website www.yourpaella.co.uk for more information. https://www.yourpaella.co.uk/wp-content/uploads/2017/05/your_paella_own_your_own_business.jpg 540 960 Gary Evans https://www.yourpaella.co.uk/wp-content/uploads/2019/01/logotrans1-300x106-300x106.png Gary Evans2014-06-23 15:03:342017-06-11 22:33:57Garden Party! We have just cooked Paella at this seasons first private party! The weather was fantastic and the Paella was very tasty. In fact, a guest at the party told us that he and his wife have travelled extensively throughout Spain and have eaten many Paella’s while there. I was overjoyed when the gentleman in question said “Well that is THE best Paella I have ever tasted!” He then took a photo of me with the Paella and informed me that he was going to send it to his Spanish chef friend who lives in Spain and tell him that he has just eaten the best Paella ever and that it was in the UK! 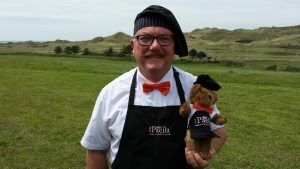 https://www.yourpaella.co.uk/wp-content/uploads/2014/07/Paella-Copy-2.jpg 1085 1367 Gary Evans https://www.yourpaella.co.uk/wp-content/uploads/2019/01/logotrans1-300x106-300x106.png Gary Evans2014-03-18 12:37:302017-06-11 22:31:34Paella party season. Paella chef’s working hard to cook over 100 portions of Paella at a private party. The party was based on an outdoor picnic and the Paella chef’s found it to be a great success with all the guests, young and old alike. As a Paella chef I see many different types of party and I really do enjoy cooking Paella at all of them. Paella chefs cooking delicious Paella for a fantastic Picnic. As you can see from the photos of the Paella party, it has a very relaxed and intimate feel to it. That is exactly what the hosts were aiming for. 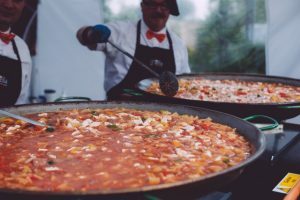 These days outdoor party’s are becoming more popular than ever and many people are tuning to professional Paella Chef’s to provide a great tasting, healthy alternative for the main hot food. Paella is such a versatile dish and Paella chef’s can cook various types of Paella to suit all of the guests. 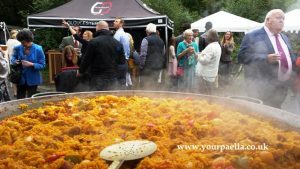 www.yourpaella.co.uk are specialists in the Paella catering field. Unlike many caterers Your Paella only cook Paella (and Spanish Tapas) and this is a major factor in the success of Your Paella. All the Paella Chef’s are trained to the highest standards and the main goal is to cook fantastic tasting Paella for you and your guests time after time. https://www.yourpaella.co.uk/wp-content/uploads/2017/05/20150515_141244.jpg 1836 3264 Gary Evans https://www.yourpaella.co.uk/wp-content/uploads/2019/01/logotrans1-300x106-300x106.png Gary Evans2013-08-25 12:22:232017-06-01 16:43:19Paella Chef. Outdoor catering services come in all shapes and sizes and serve all kinds of food. Outdoor catering is perfect for that special occasion, like a birthday or christening. 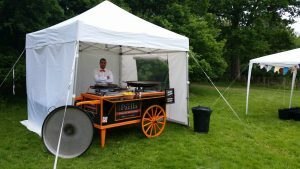 In fact, when you need to feed a large group of people at an affordable price the Your Paella outdoor catering service is the perfect solution. In many cases it can cost more to feed 100 guests with hot food than the cost of hiring Your Paella to come, cook and serve delicious fresh Paella. Prices can start from just £7.50 per person when you are hosting a party for a minimum of 100 people. Don’t be fooled by this great value price into thinking that Your Paella serve anything less than high end fantastic quality Paella’s. 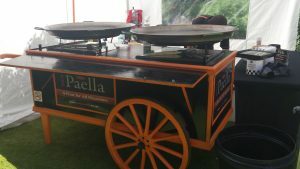 As a professional outdoor catering company, Your Paella can take advantage of sourcing their ingredients at wholesale prices allowing them to bring a great taste and service at a great price. https://www.yourpaella.co.uk/wp-content/uploads/2017/05/20170517_162629.jpg 2988 5312 Gary Evans https://www.yourpaella.co.uk/wp-content/uploads/2019/01/logotrans1-300x106-300x106.png Gary Evans2013-05-09 15:29:202017-06-01 16:46:46Outdoor Catering. 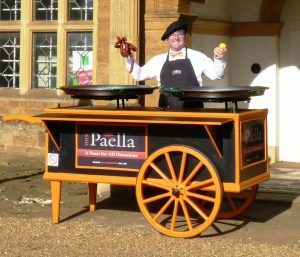 Now your looking for a Paella Catering Company, check out Your Paella the professional Paella Catering Company that are based in Northamptonshire. 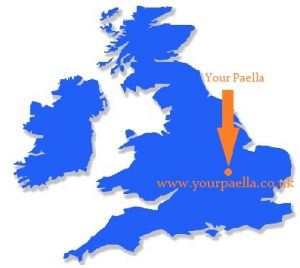 Although Your Paella are based in Northamptonshire, they are able to cover the whole of the UK. Your Paella our a Paella catering company with a difference. 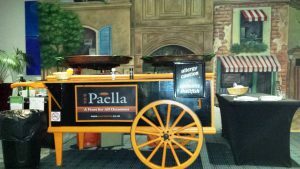 Not only do they cook delicious Paella on site for your corporate event or private party, they do it with their famous Paella Cart! You won’t find another Paella catering company offering this service and at an unbeatable price too! Your Paella prices start from just £8.50 per head* (see main website for more details) and are able to cook Paella in front of you and your guests, adding a more theatrical and entertaining way of providing hot, healthy food whatever the occasion. 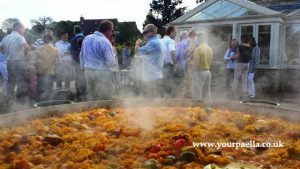 Don’t just take our word for it, see what some of Your Paella clients have said in the past on the review area of the Yell.com website or take a look at what some of the guests at a wedding fair had to say when they were given a free sample of Your Paella in Kettering. You may also want to checkout the Facebook page for Your Paella. You can find that if you click here. If you “Like” the Facebook page you will get all the latest information on Your Paella. 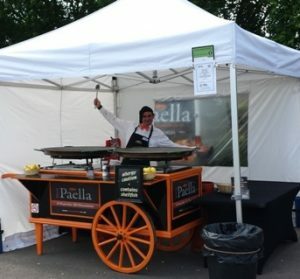 Competitions, prizes, discounts and where and when Your Paella are attending any public events. You could even get involved with other Facebook fans of Your Paella and discuss all kinds of topics around Spain and its food and culture. 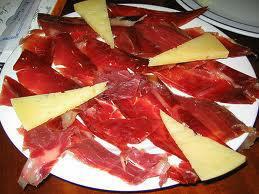 Your Paella can also supply tapas of various kinds to accompany Your Paella. So remember, if your looking for a Paella Catering Company that has great customer reviews at a price that’s right, get in touch with Your Paella today. They are always happy to help. You can contact them on 01536 722707 or though their website. www.yourpaella.co.uk for a free no obligation quote. Above is an image of how Your Paella looks attending a private party. If your interested in Your Paella to come along to a funeral and provide funeral catering, then please contact us. Just as funerals are becoming more different and sometimes quirky, so can the funeral catering. Gone are the days where everything has to be so formal. 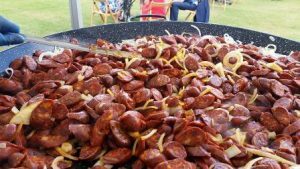 Your Paella are able to come along as funeral caterers and cook hot delicious Paella for all the guests from just *£8.50per head. Your Paella can also come and cook Your Paella and leave it with you so the guests can help themselves, or we can stay and serve your guests. Your Paella can also supply Spanish style Tapas and single serving dessert. Your Paella are more than happy to discuss your individual needs and provide the funeral catering service for you.